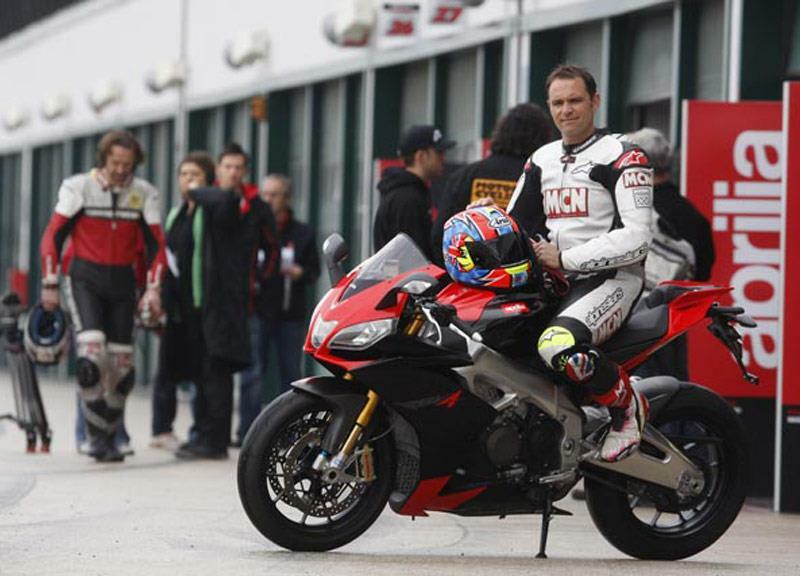 The Aprilia RSV4 launch took place at Misano in Italy. 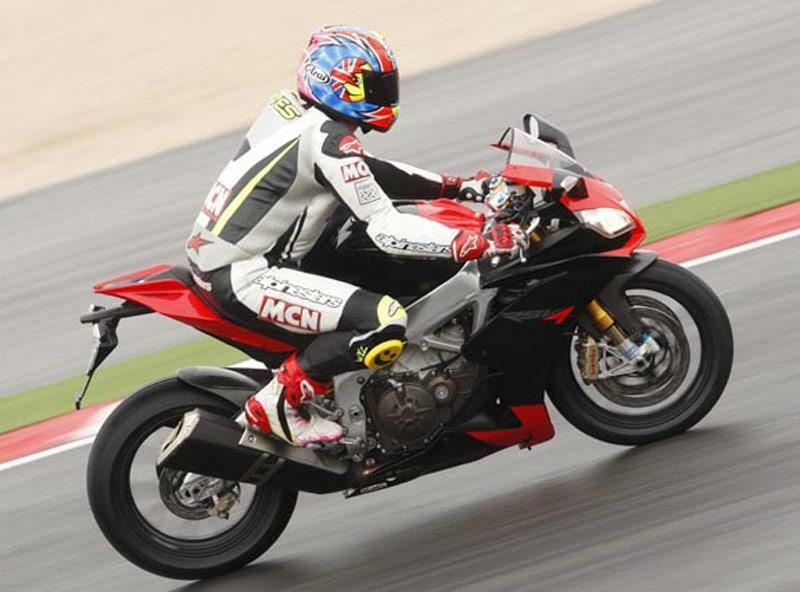 MCN's Michael Neeves was out there riding the RSV4 and reporting back with his impressions of Aprilia's new flagship supersports bike. Unfortunately it hasn’t stopped raining, and the track is still very slippery. Even with the bad weather I’m having the time of my life and I’m disappointed when the chequered flag comes out to signal the end of my session. Usually wet weather riding is something you have to tolerate but on the RSV4 it’s serious fun. There is so much feedback from the chassis and short shifting through the gears is the fastest way around the track because the engine is so flexible. Compared to an RSV twin or a Ducati 1198 the power delivery is far less brutal and bike is easier to ride. If you compare the RSV4 to the new R1, the RSV4’s is power is just as easy to use, but the bike is far more compact and agile. I'm going out for another session of riding and will report back soon. Three riders have crashed out already due to the soaking wet track at Misano. The RSV4s are fitted with wet weather tyres, but still the conditions are treacherous! Bloody weather, the track is sopping wet here in Misano but Aprilia have taken a brave decision to let us out on the bikes regardless. They’ve fitted wet weather Pirelli racing tires for us to use, exactly the same as Biaggi or Nakano would use in the World Superbike races. Despite the weather first impressions are spectacular. The RSV4 is extremely compact and agile. 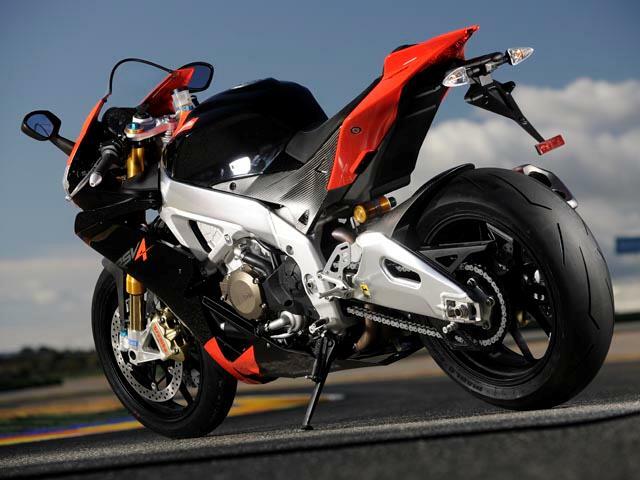 With the suspension softened off to suit the conditions the RSV4 is confidence inspiring. We are using the medium of the three engine maps which reduces the torque in the bottom three gears and this in conjunction with the slipper clutch (which reduces engine braking into corners) makes the RSV4 very smooth on and off the throttle. Power delivery is linear and extremely strong especially at high revs, but it’s completely predictable too. The engine makes a rasping, distinctive V4 bark at full throttle. The RSV4 is tiny, but the bike is relatively roomy for a six-footer like me. The pegs are very high up and quite far back but it’s not uncomfortable. Check back later on for more news on the RSV4, hopefully the weather will improve. We're here at Misano and I'm getting ready to ride Aprilia's RSV4 at the world launch. 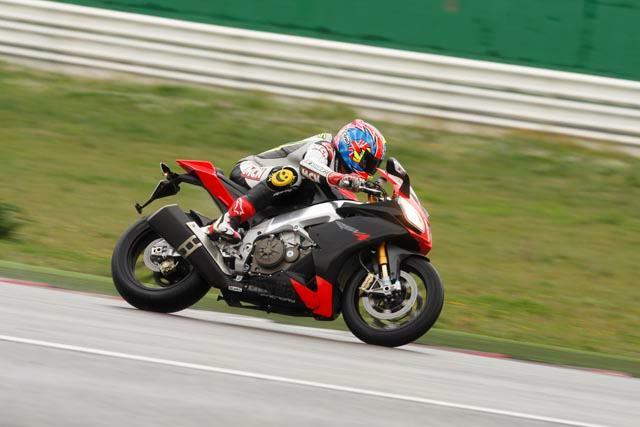 Aprilia have already told us the full technical spec of the bike and very soon I get to try this magnificent V4-engined superbike for the first time around the track. 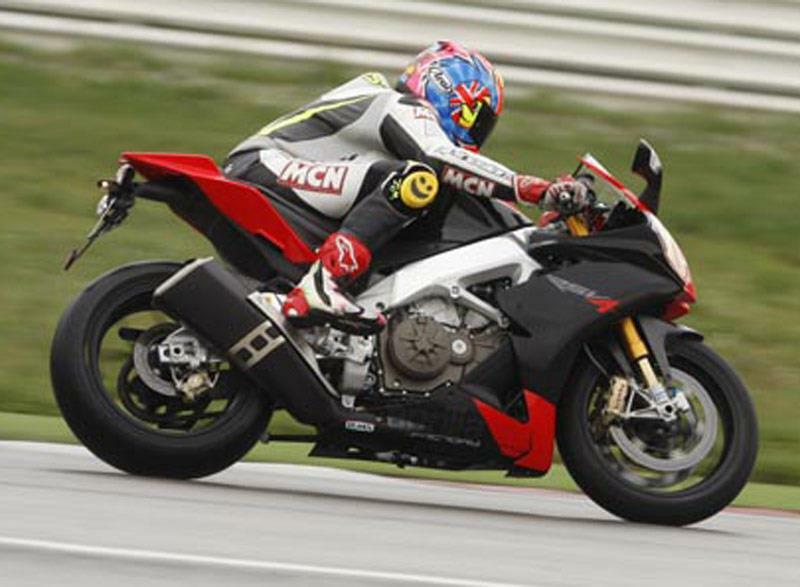 For more information on the RSV4 visit MCN's RSV4 launch centre.